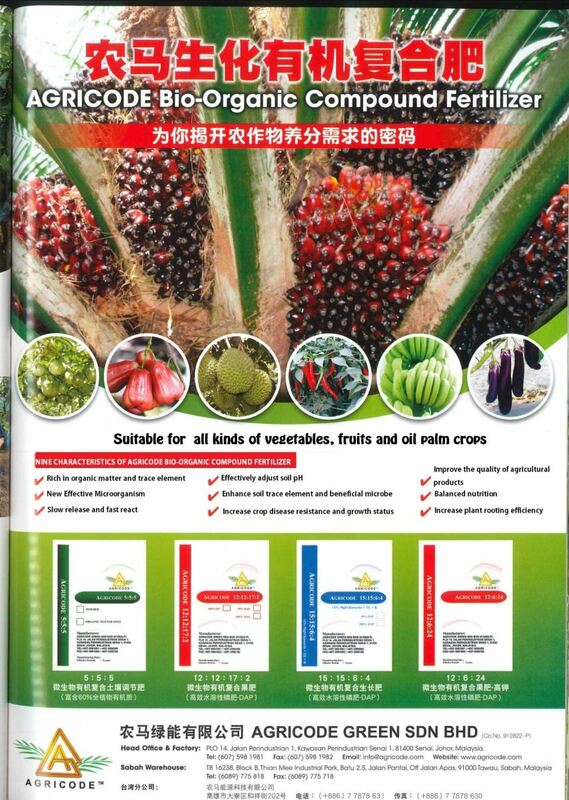 Agricode Green Sdn Bhd - Agricode Green Sdn Bhd is a company that supplies oil palm fertilizer and seed. 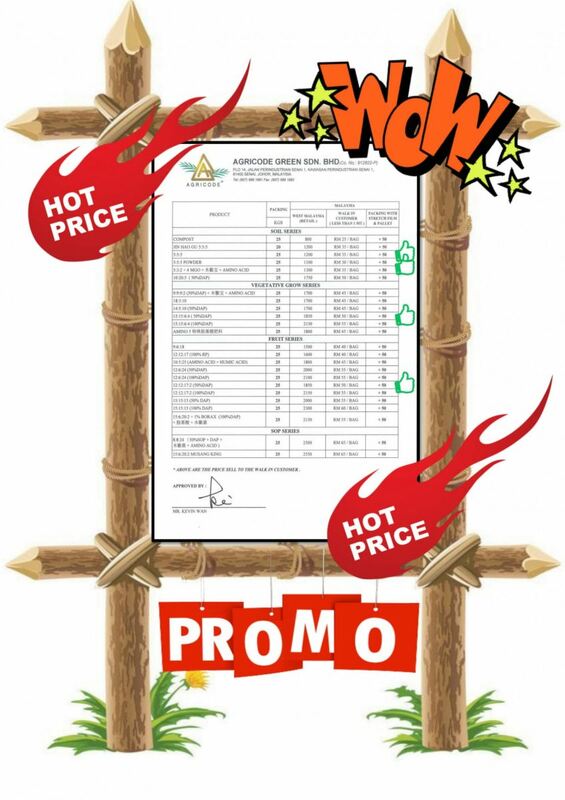 Our company is located in Johor Bahru (JB), Johor. 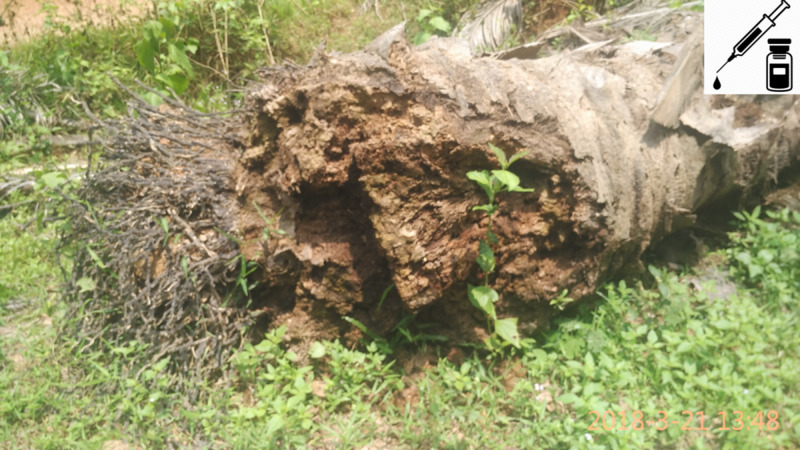 14-May-2018 CONTAINED "ORGANIC MATTER, HUMIC ACID, AMINO ACID, TRACE ELEMENT AND TRICHODERMA"
10-Apr-2018 Uncontrolled crop pests and diseases! What��s going on???!!! 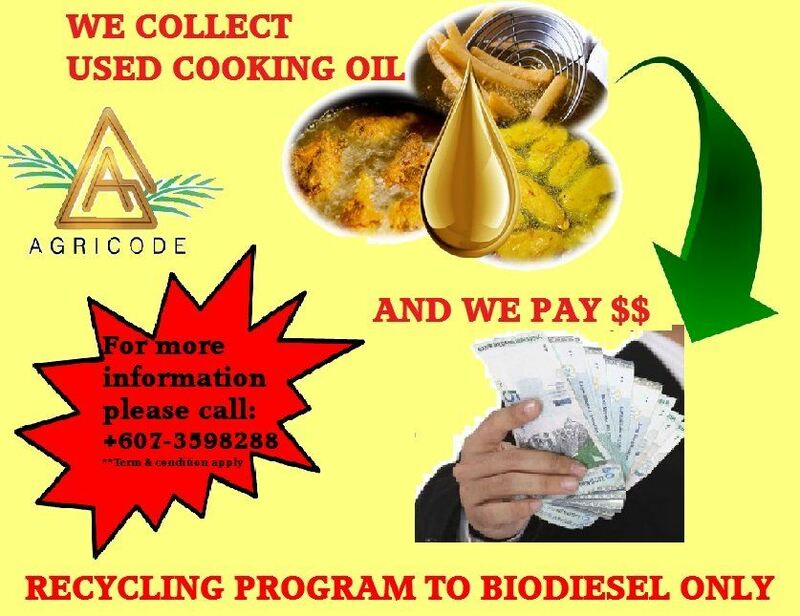 06-Apr-2018 ~BEWARE OF USED COOKING OIL~ FOR YOU !! YES, YOU!! AND EVERYONE! Agricode bio-techonogy was established on October 2006 and 2011 was set up the manufacturing plant where located at PLO 13 &14, Jalan Perindustrian 1, Kawasan Perindustrian Senai 1, 81400 Senai, Johor. Our factory and warehouse area approximately 16187.81 square meters. We have more than 10 years of experience in fertiliser plant construction, executing each project in a professional and comprehensive way. Our competency and skills lie in our capable specialists and rest also on our key expertise in the technology of dispersion separation. Our current bio-organic fertilizer production capacity 130 tons per day. Besides, we have biofuel production plants with a total production capacity of 36,000 metric tons per annum of biofuel. 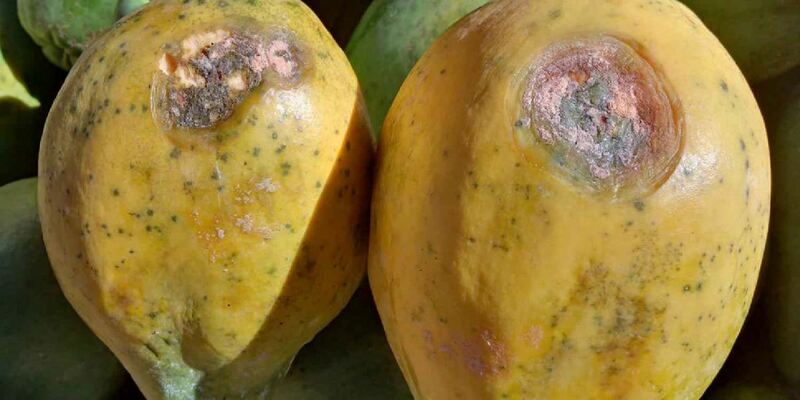 We have many years of experience in agricultural sector. We provide the best agriculture technical knowledge and advice we can to our client especially in oil palm estate management. Today, Agricode has a total staff more than 80 people with offices in Malaysia, Vietnam and Taiwan. This has enabled Agricode to provide a service with local presence to the industry all over the Asia. 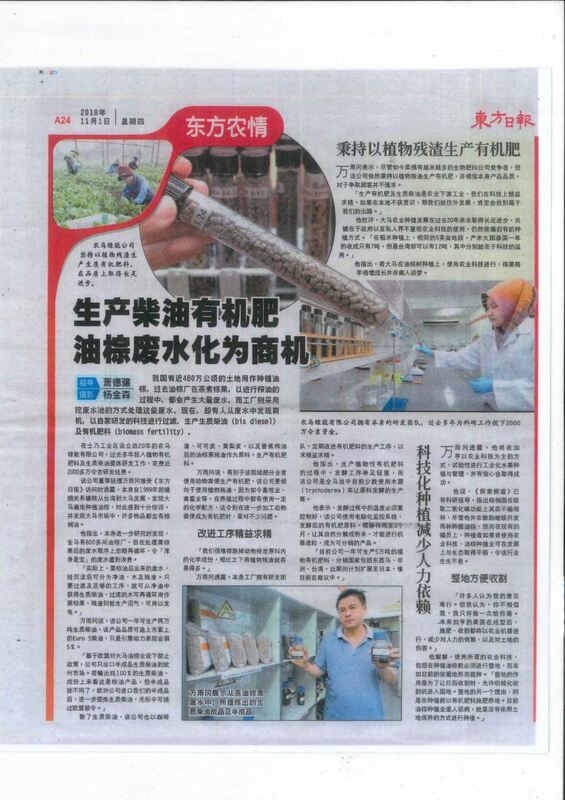 Agricode has own laboratory for research and development. Areas of research are biodiesel and fertilizer. The research includes optimizing the designs of the production equipment and looking at new sources of feedstock for making fertilizer and biodiesel. The quality assurance team and technicians maintain our stringent quality assurance standards.